Climate change is killing chicks from the world’s largest colony of Magellanic penguins, not just indirectly—by depriving them of food—but directly, too, as a result of drenching rainstorms and, at other times, heat. Too big for parents to sit over protectively, but still too young to have grown waterproof feathers, downy penguin chicks exposed to drenching rain can struggle and die of hypothermia in spite of the best efforts of their concerned parents. And during extreme heat, chicks without waterproofing can’t take a dip in cooling waters as adults can. Various research groups have published findings on the reproductive repercussions from single storms or heat waves, events that individually are impossible to tie to climate change. The new results, published in the journal PLOS ONE, span 27 years of data collected in Argentina. 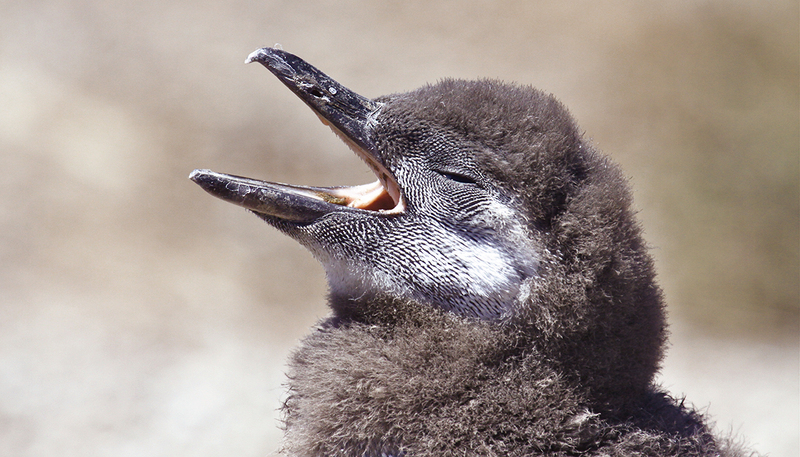 “It’s the first long-term study to show climate change having a major impact on chick survival and reproductive success,” says Dee Boersma, professor of biology at the University of Washington. 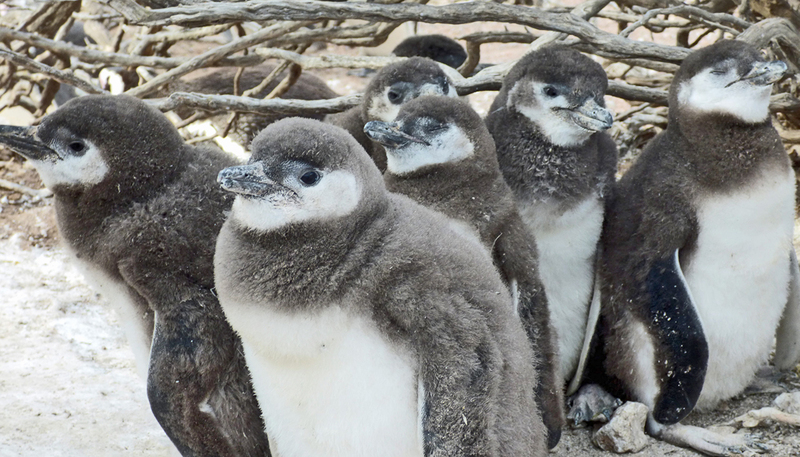 Boersma has led field work since 1983 at the world’s largest breeding area for Magellanic penguins, about halfway up the Atlantic coast of Argentina at Punta Tombo, where 200,000 pairs reside from September through February to have their young. During a span of 27 years, an average of 65 percent of chicks died per year, with some 40 percent starving. Climate change, a relatively new cause of chick death, killed an average of 7 percent of chicks per year, but there were years when it was the most common cause of death, killing 43 percent of all chicks one year and fully half in another. Starvation and weather will likely interact increasingly as climate changes, Boersma says. Rainfall and the number of storms per breeding season have already increased at the Argentine study site, says research scientist and co-author Ginger Rebstock. For instance in the first two weeks of December, when all chicks are less than 25 days old and most vulnerable to storm death, the number of storms increased between 1983 and 2010. Parents can only do so much to protect chicks this big and still covered with down when it starts to rain or the sun is too hot. “We’re going to see years where almost no chicks survive if climate change makes storms bigger and more frequent during vulnerable times of the breeding season as climatologists predict,” Rebstock says. Magellanics are medium-sized penguins standing about 15 inches tall and weighing about 10 pounds. Males of the species sound like braying donkeys when they vocalize. Of the Earth’s 17 species of penguins, 10 (including Magellanics) breed where there is no snow, it is relatively dry, and temperatures can be temperate. Punta Tombo is so arid that it gets an average of only 4 inches (100 mm) of rain during the six-month breeding season and, sometimes, no rain falls at all. Rain is a problem and kills down-covered chicks ages 9 to 23 days if they can’t warm up and dry off after heavy storms in November and December when temperatures are likely to dip. If chicks can live 25 days or more, most have enough juvenile plumage to protect them. Once chicks die, parents do not lay additional eggs that season. 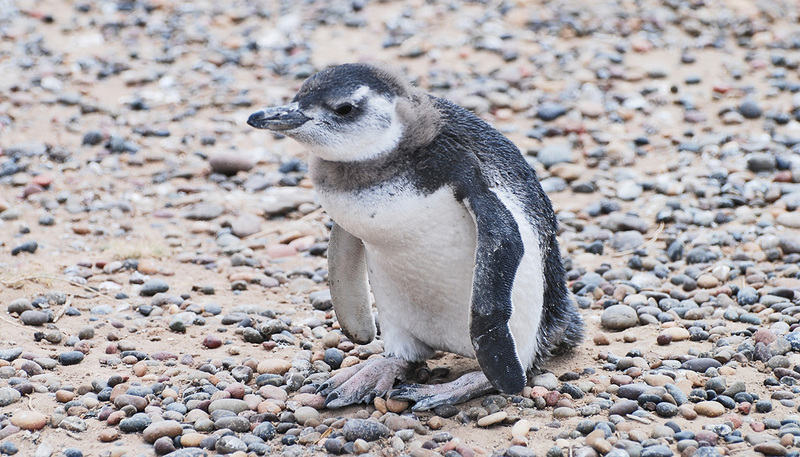 The findings are based on weather information, collected at the regional airport and by researchers in the field, as well as from penguin counts. During the breeding season researchers visit nests once or twice a day to see what is happening and record the contents of the nest, often hunting for chicks when they move around as they get older. When chicks disappear or are found dead, the researchers turn into detectives looking for evidence of starvation, predators or other causes of death such as being pecked or beaten by other penguins. Just back from two months in the field, Boersma says heat this season took a greater toll on chicks than storms. Such variability between years is the reason why the number of chicks dying from climate change is not a tidy, ever-increasing figure each year. Over time, however, the researchers expect climate change will be an increasingly important cause of death. Also contributing to increasing deaths from climate change is the fact that, over 27 years, penguin parents have arrived to the breeding site later and later in the year, probably because the fish they eat also are arriving later, Boersma says. The later in the year chicks hatch the more likely they’ll still be in their down-covered stage when storms typically pick up in November and December. Besides the coast of Argentina, Magellanic penguins also breed on the Chile-side of South America and in the Falkland (Malvinas) Islands, breeding ranges they share with some 60 other seabird species. These species also are likely to suffer negative impacts from climate change, losing whole generations as the penguins have in the study area, the co-authors say. 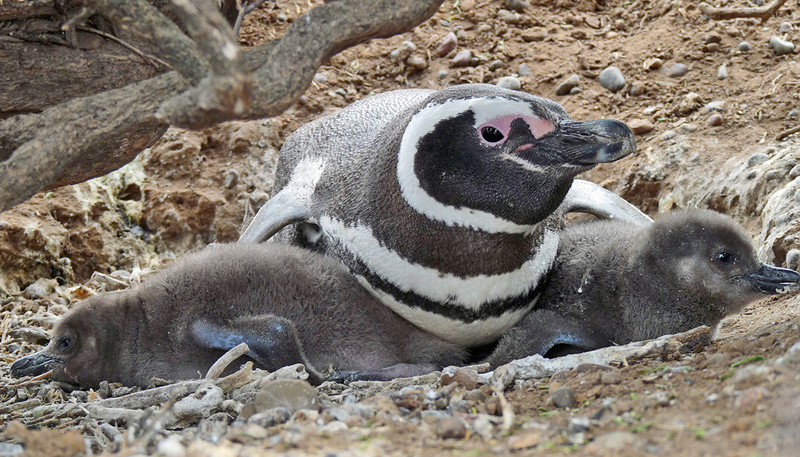 The Wildlife Conservation Society, the Office of Turismo in Argentina’s Chubut Province, the Global Penguin Society, and the La Regina family supported the work.